If I have authority to decide next birth of deceased souls, I would give birth to all non-democratic, pseudo-democratic, pseudo-secular, pro-reservations, religion fanatics to the honeybee colony. Honeybees are excellent at implementing democracy. These poor souls must revise lessons in democracy from Honeybee embodiment. There is one common misunderstanding about the inner operations of a honeybee colony that I must dispel at the outset, namely that a colony is governed by a benevolent dictator, Her majesty the Queen. The belief that a colony’s coherence derives from an omniscient queen (or king) telling the workers what to do is centuries old, tracing back to Aristotle and persisting until modern times. But it is false. What is true is that a colony’s queen lies at the heart of the whole operation, for a honeybee colony is an immense family consisting of the mother queen and her thousands of progeny. It is also true that the many thousands of attentive daughters (the workers) of the mother queen are, ultimately, all striving to promote her survival and reproduction. Nevertheless, a colony’s queen is not the royal Decider. All their decisions ranging from finding food sources, new homes, queen rearing are democratic decisions! 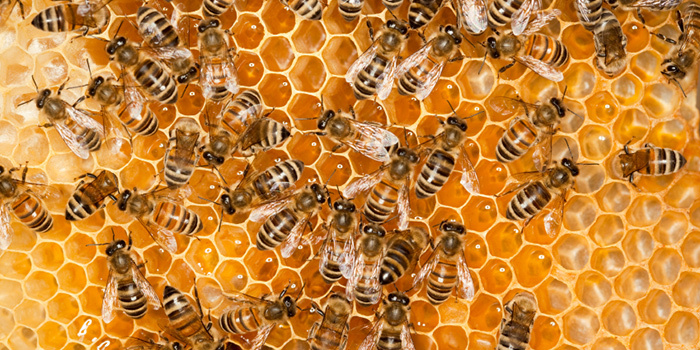 Honeybees make decisions collectively – and democratically. Every year, faced with the life-or-death problem of choosing and traveling to a new home, honeybees stake everything on a process that includes collective fact-finding, vigorous debate, and consensus building. In fact, as world-renowned animal behaviorist Thomas Seeley reveals, these incredible insects have much to teach us when it comes to collective wisdom and effective decision making. A remarkable and richly illustrated account of scientific discovery, Honeybee Democracy brings together, for the first time, decades of Seeley’s pioneering research to tell the amazing story of house hunting and democratic debate among the honeybees. Author Seeley in this book, beautifully compares honeybee colony with neurons in brain. Our brain, our body also works in democratic manner! Krishna’s aim of life, was greatest happiness of greatest number (wellness of all) or holistic utilitarianism. Being a Krishna believer/follower/Bhakt, what is your aim in life? Do you work like your ideal or just blabber here and there? PS: Krishna dream of a society that prospers with the utilitarian goals. The utilitarianism of Sri Krishna, however, does not concern material ends only. He wants to build a system where the ethics of justice is in wide practice, firmly based on the spiritual state of harmony and equilibrium.